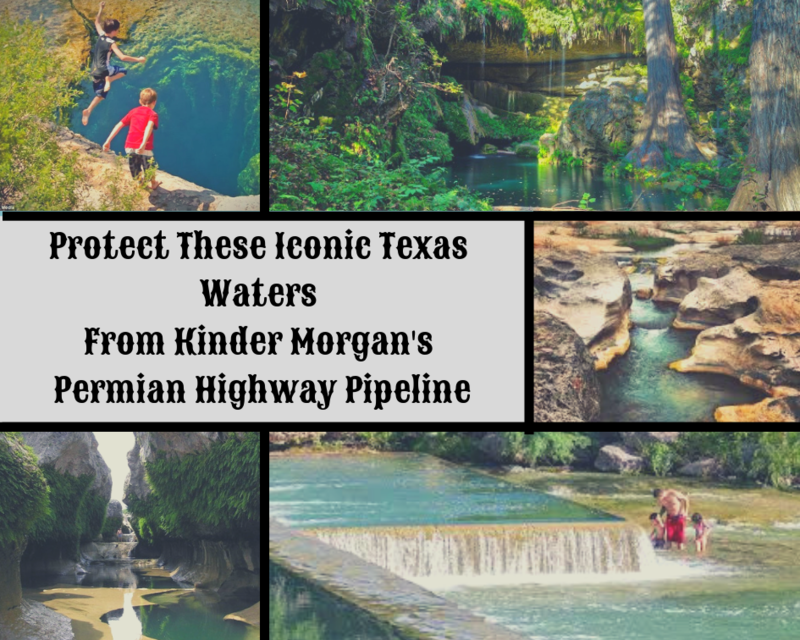 Kinder Morgan’s Permian Highway Pipeline project is currently planned to cross through the Texas Hill Country and will directly impact hundreds of properties in Central Texas. 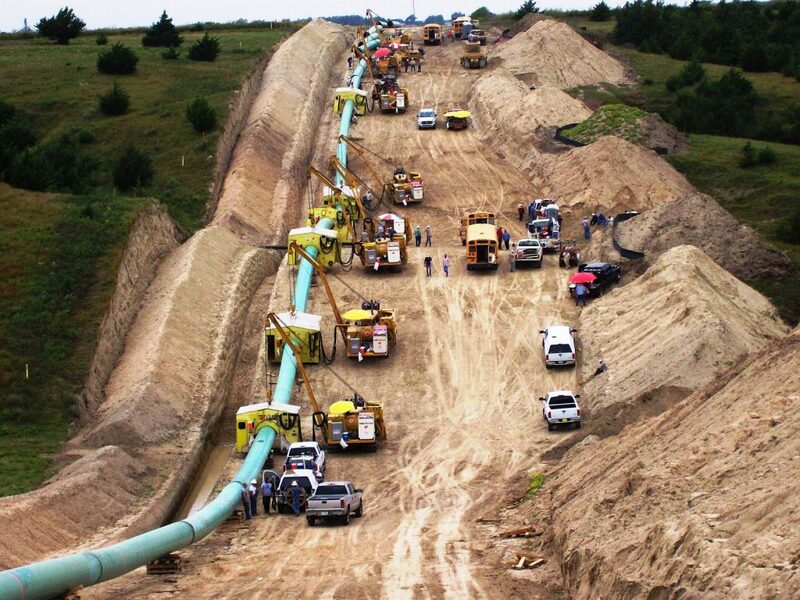 This pipeline will be transporting 2.1 billion cubic feet of fracked gas on a daily basis and they reserve the right to switch to crude oil, petroleum and other hydrocarbons! Along the route, the pipeline will cross rivers, creeks, karst aquifer recharge zones, the habitats of endangered species, and will come into very close proximity to some of our beloved springs, including Jacob’s Well. 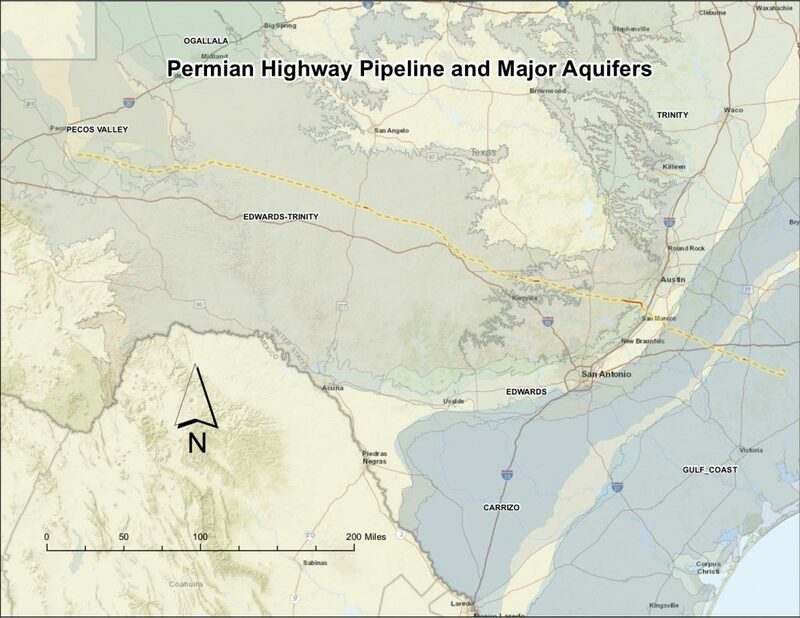 Donate to WVWA’s Defense Campaign to STOP the Permian Highway Pipeline! Local businesses, non-profits, landowners, and residents are deeply concerned about the pipeline’s potential negative impact to our tourism economy, our drinking water, our sensitive ecosystem, our treasured endangered species and property values. Texas state law is currently very generous to Kinder Morgan, giving them the power to use eminent domain to acquire easements for their pipeline regardless of an affected landowner’s opposition. Kinder Morgan has admitted that most of the product they intend to move from the Permian Basin to the Gulf Coast will be sold overseas. Our communities will be forced to live with this risky infrastructure for the benefit of a for-profit corporation. 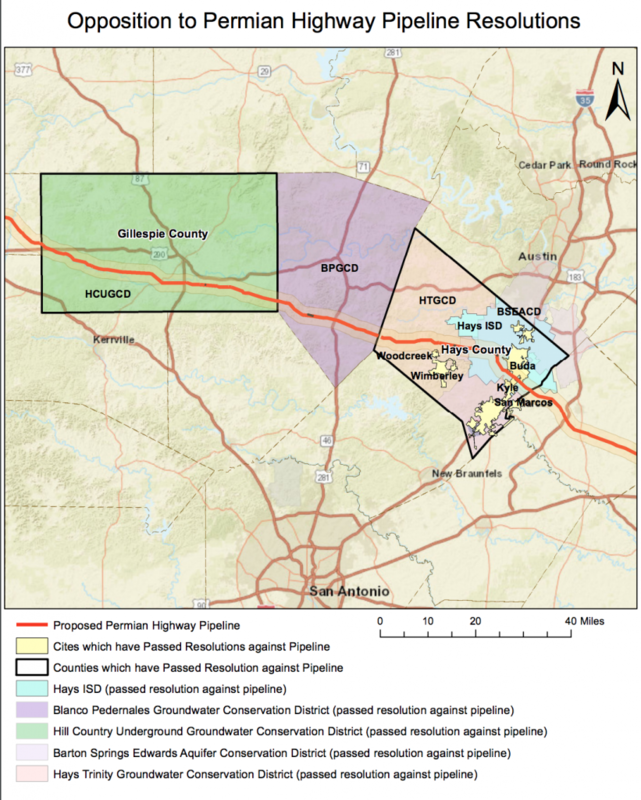 County commissioners, city councils, conservation districts, and school districts across the Hill Country have signed resolutions opposing the pipeline’s route and demanding that the state legislature reform eminent domain and begin requiring environmental impact studies for intrastate pipelines. Click below to read these resolutions. 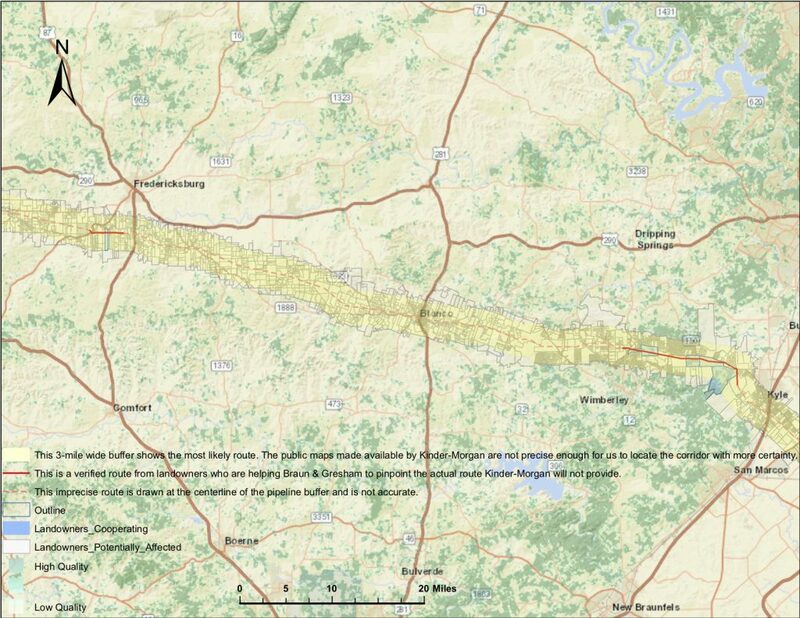 The Wimberley Valley Watershed Association has been following the progress of this pipeline since its inception, and has been actively working with landowners, scientists, experts and legal counsel to determine the best course of action to reroute the pipeline out of the Hill Country. We are dedicated to landowners, watersheds, land, wildlife, and to the Texas Hill Country. We oppose this pipeline because we know it is bad for those we are dedicated to. 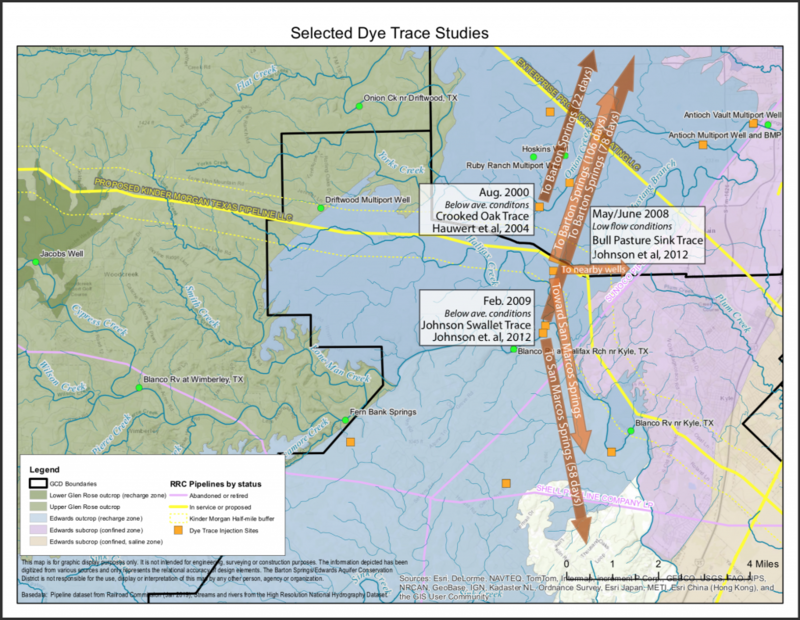 We know the unique karst topography and artesian spring-fed ecosystems of the Hill Country are far too susceptible to the dangers that such an intrusive project would come with. We know this project would alter the landscape and prevent landowners from using their land freely. We know that any threat to our landscape, wildlife and water sources are a direct threat to our local economy, which relies on tourism. The Hill Country draws millions of people each year for many things: recreation, swimming, fishing, touring, hiking, birding, agriculture and ranching, brewing, dancing, or just relaxing and taking in this treasured piece of Texas. Dozens of Local businesses who feel threatened by Kinder Morgan’s Permian Highway Pipeline have signed our Business Resolution Opposing the Permian Highway Pipeline. Help us reach our goal of 500 businesses. 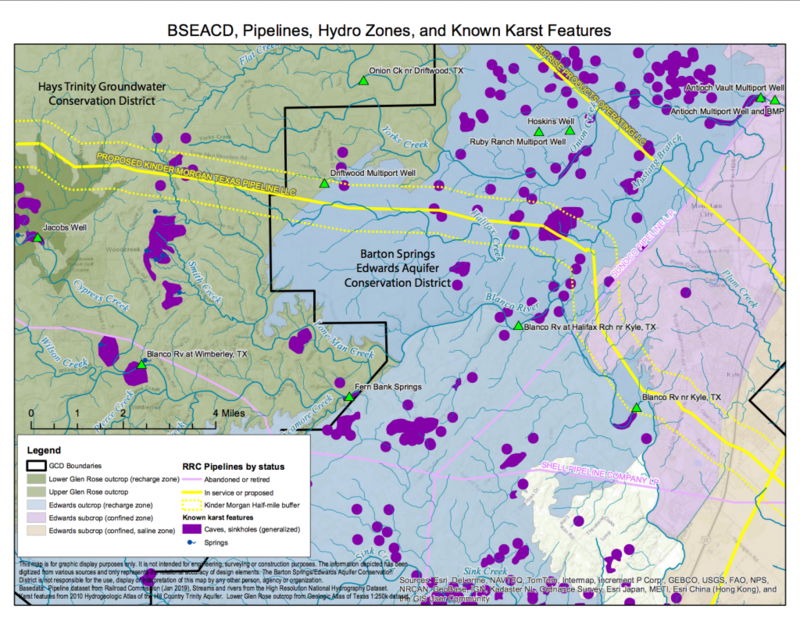 If Kinder Morgan has their way, the pipeline will be installed through primarily karst aquifer systems in this region. 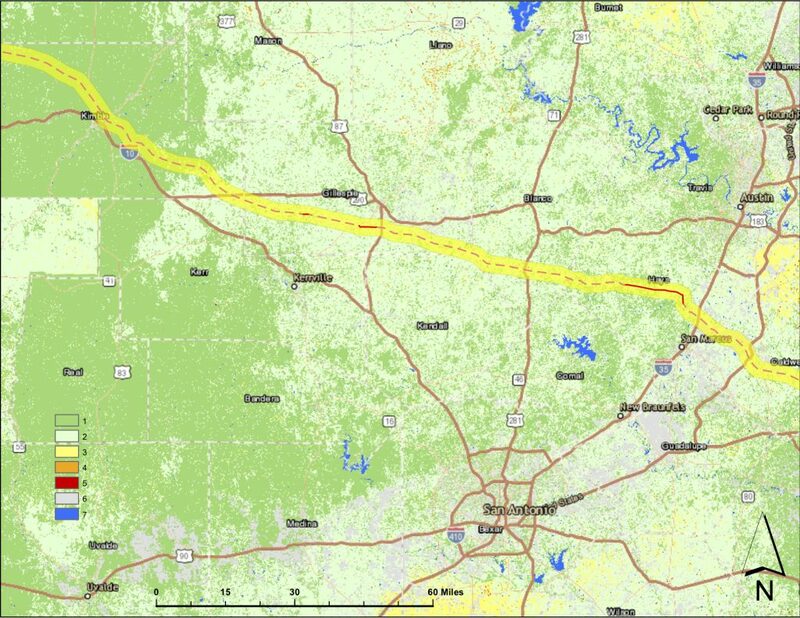 These systems feature numerous and highly sensitive sink holes, caves, and fault lines. 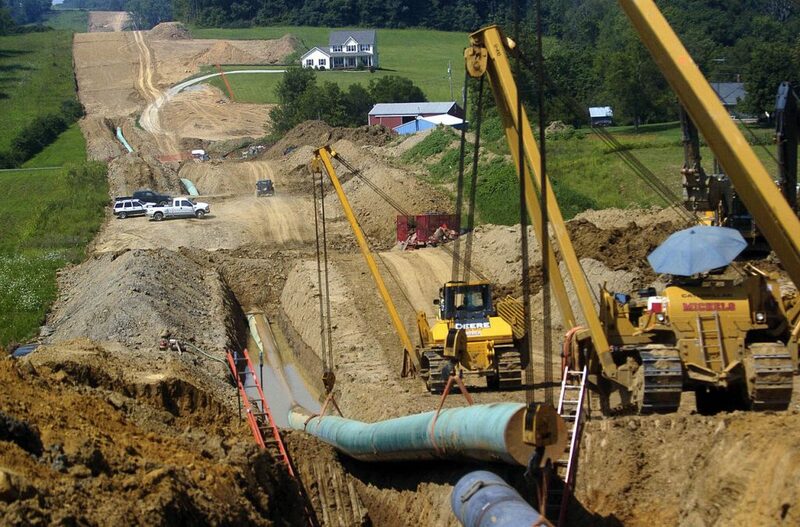 The construction of the pipeline could cause irreparable damage to these features and the massive disturbance during the construction phases will alter hundreds of streams, creeks, and springs. We have no way of fully comprehending the short and long term effects of the construction, but we do know that decreased flow rates, altered water routes in the aquifer, and increased silt and sediment are highly likely. 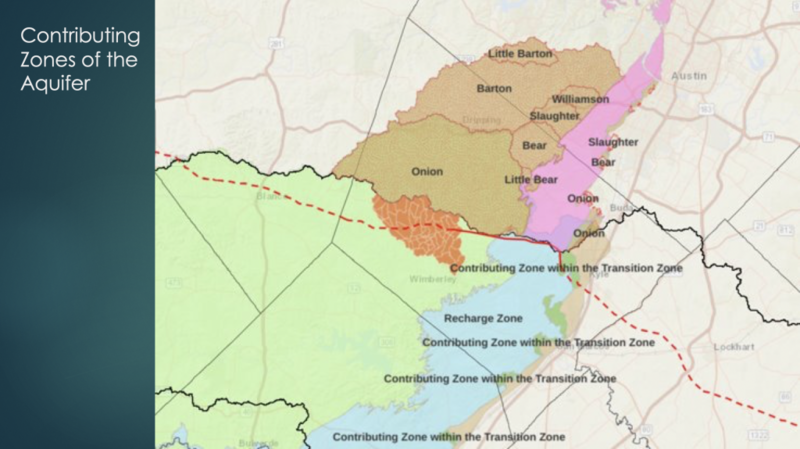 The Barton Springs Edwards Aquifer Conservation District (BSEACD) and the Hays Trinity Groundwater Conservation District (HTGCD) have both adopted resolutions opposing the current route after looking into some of the immediate impacts on these aquifer systems. 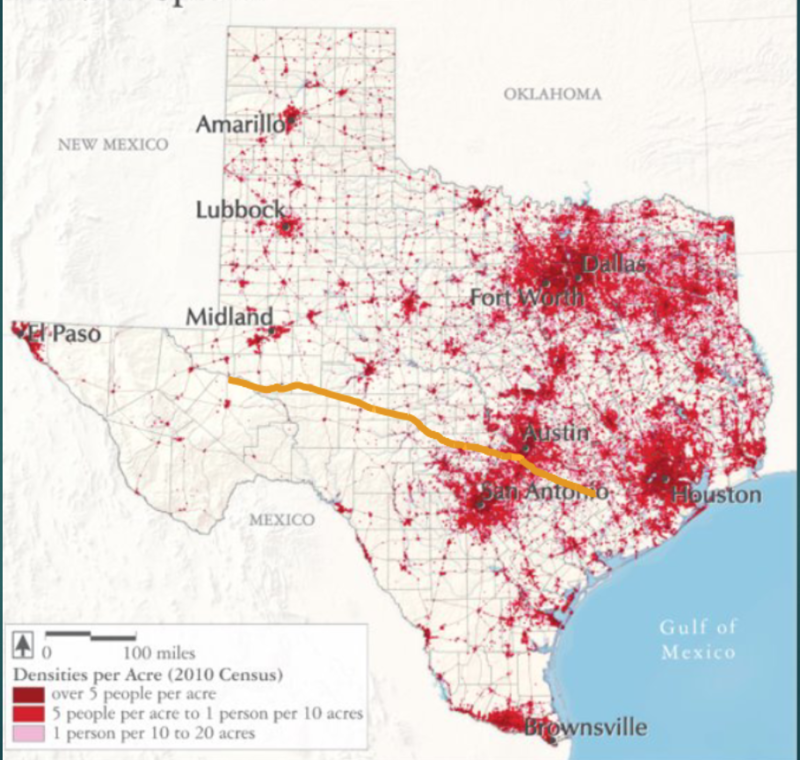 – Jacob’s Well, Cypress Creek, Blanco River, Pedernales River, Onion Creek, Plum Creek, Barton Springs, and the San Marcos Springs are just a few of the waterways that could be impacted by the construction and operation of the pipeline. 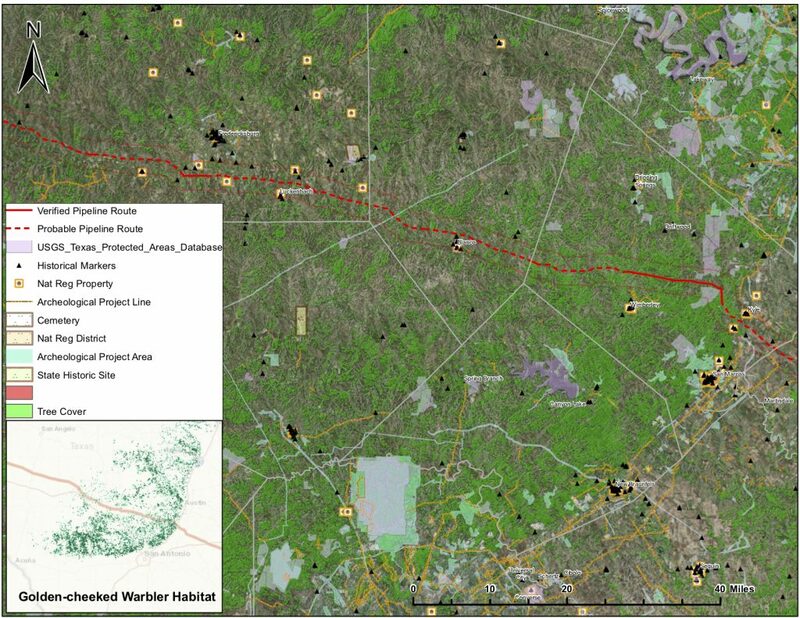 – In order to build this pipeline, crews will need to clear cut a 125-foot wide right-of-way (ROW) that will cause a significant loss of oak trees and existing habitats. This immense clearing operation with heavy machinery has the potential to spread the oak wilt infection that is already damaging our beloved live oak trees across a large portion of the Hill Country. – Compressor and valving stations will add significant noise and light pollution to the immediate and surrounding properties. While we don’t have a lot of information on where these stations will be located or how often they will be used, we do know that their noise levels can equal that of a jet engine and can be heard within a 2 mile radius. Click here to watch a video and listen to what a compressor station sounds like when they do their Emergency Shutdown Down drills. It really gets going 15 seconds in. – This current route goes right through areas of known endangered species habitat, like the Golden-cheek Warbler. Read our article about it below. Additionally, the impacts to the aquifer from trenching, construction, maintenance, and ongoing operations of the pipeline could impact the endangered and rare salamanders in the Blanco River, Pedernales River, San Marcos Springs, and Barton Springs. – If you are an affected landowner, we urge you to seek legal counsel. Kinder Morgan does have the power of eminent domain, and they will use that power to put their pipeline in place. You do NOT need to accept their initial offers, and you can negotiate your contract with them if they are successful in placing the pipeline on the proposed route. – Educate yourself, talk to your neighbors, reach out to the WVWA or to the Texas Real Estate Advocacy & Defense (TREAD) Coalition (info@treadcoalition.org) about being involved in future meetings. – Come ask questions and share your concerns at upcoming community meetings. – Write to your representatives! Let them know this issue is important to you! Enter your address in the map below to see where your property is in relation to the predicted pipeline route. Click the button above for an Interactive Map of the Pipeline. You can put in your address and see how close you are to the route. 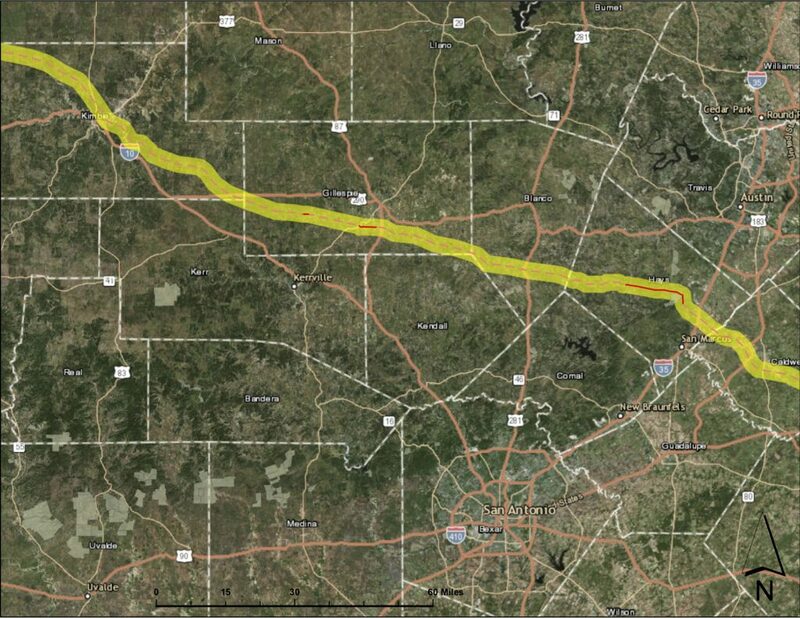 Donate to WVWA’s Crowdfunding Campaign to STOP the Permian Highway Pipeline! UNITED STATES – AUGUST 25: A portion of the Rocky Express Pipeline is lowered during its construction in Lancaster, Ohio, U.S., on Tuesday, Aug. 25, 2009.